Skopje’s Faculty of Dramatic Arts will hold a memorial service for theater director Zlatko Slavenski, who died on April 8. He was 53. Slavenski studied at the London International Film School in the late 1980s on a national scholarship. When it was discontinued during the breakup of Yugoslavia, he returned to Macedonia. 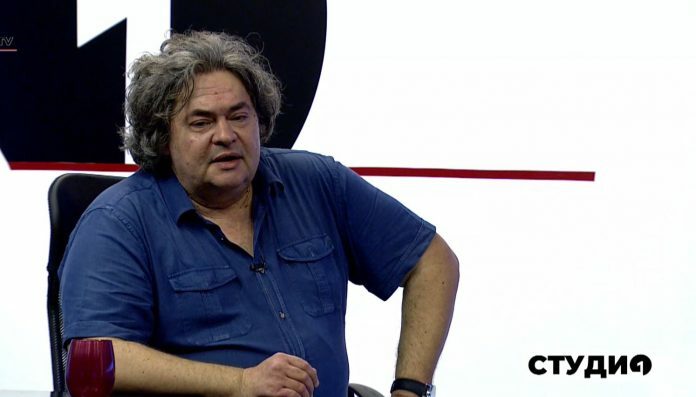 He finished his Faculty of Philology’s comparative literature studies in 1993 while also enrolled in the Faculty of Dramatic Arts’ directing program under Slobodan Unkovski and Stole Popov, both distinguished Macedonian directors. Slavenski graduated in 1994 and taught at the Faculty since 1997, getting his tenure in 2016. During his directing career, Slavenski won numerous awards and staged many plays based on works by authors such as Tom Stoppard (Rosencrantz and Guildenstern Are Dead), Goran Stefanovski (Casabalkan), Fyodor Dostoevsky (Crime and Punishment; Demons), Stanisław Lem (Solaris), Laurie Anderson (Supernova), Horace McCoy (They Shoot Horses, Don’t They? ), Maurice Maeterlinck (The Blue Bird), Venko Andonovski (The Navel of the World), and Bertolt Brecht(Caucasian Chalk Circle). He also wrote the book 0,1: A Brief Introduction to Infinity. Slavenski was to defend his doctoral thesis on adapting a theater script into a film screenplay at the end of this semester, the Faculty’s release adds.